England – France – Spain – Morocco (just) –Algeria- Mauritania-Mali- Guinea- Cote d’Ivoire- Ghana – Togo – Benin and Nigeria, a total of thirteen countries. 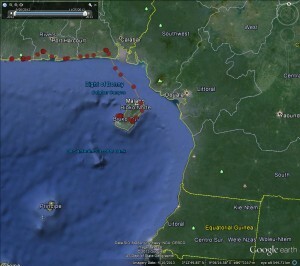 He is now on the island of Malabo. Where is that you ask? In the Bight of Bonny is the reply. Pointless eat your heart out! Number 14 Still on the move. Lots of questions this week; like where on earth is this bird going? Will he cross the Equator? How many countries is he going to visit? 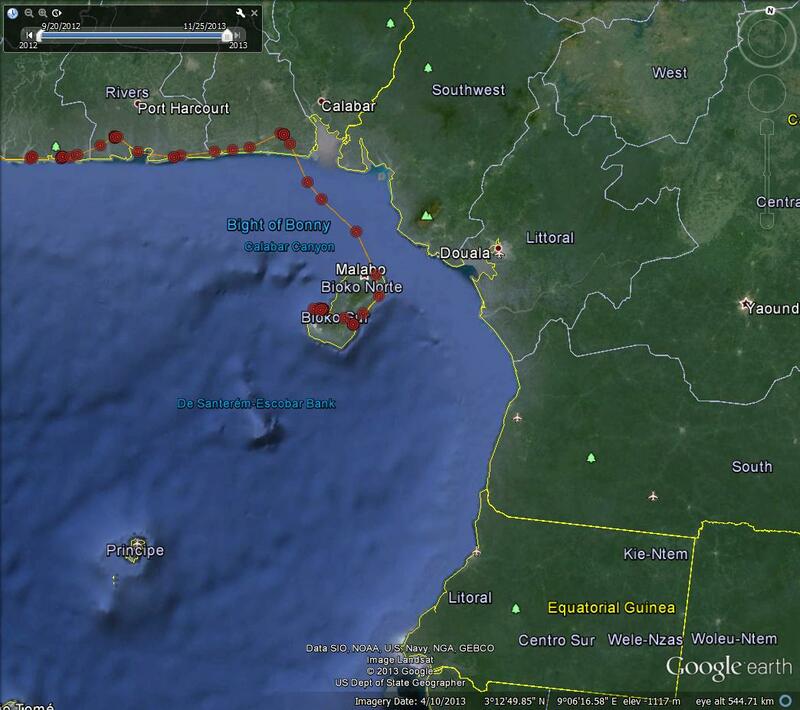 Has he stopped his migration or not – he is still heading south by way of the coastline? Does he think he’s a swallow and will keep going to South Africa? Here’s a question for a dark wet afternoon – name the countries Number 14 has visited so far? You can include England. Lake District Osprey Number 14 On The Move. 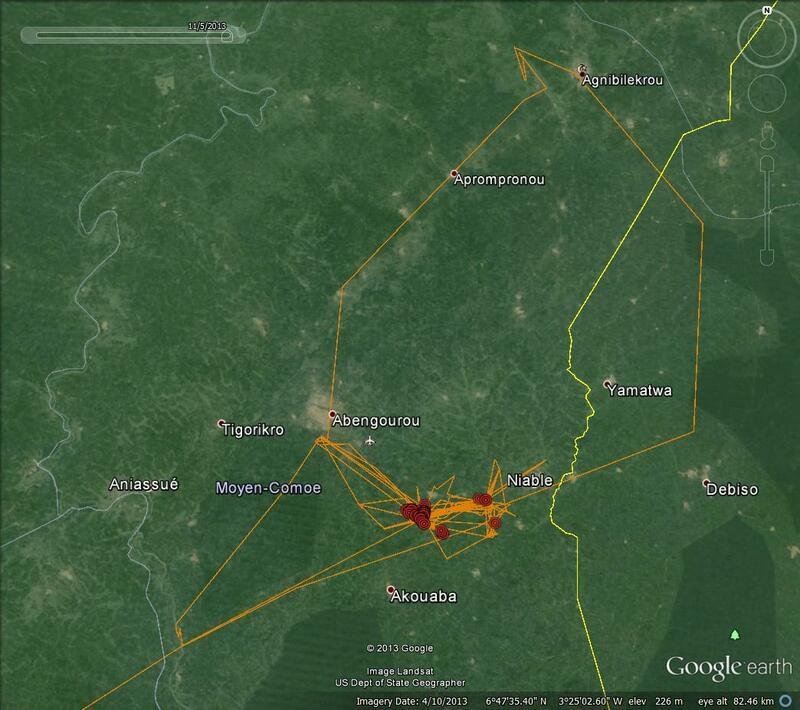 Just when we were beginning to think that we could be in for a rather dull few months with Number 14 happily sitting in the forests to the south west of Abengourou he starts to move again. 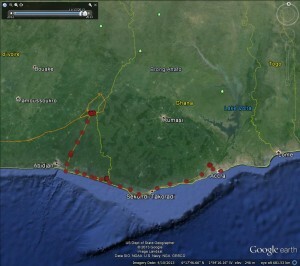 On the 10th November he started south towards the coast roosting just to the north of Abidjan. 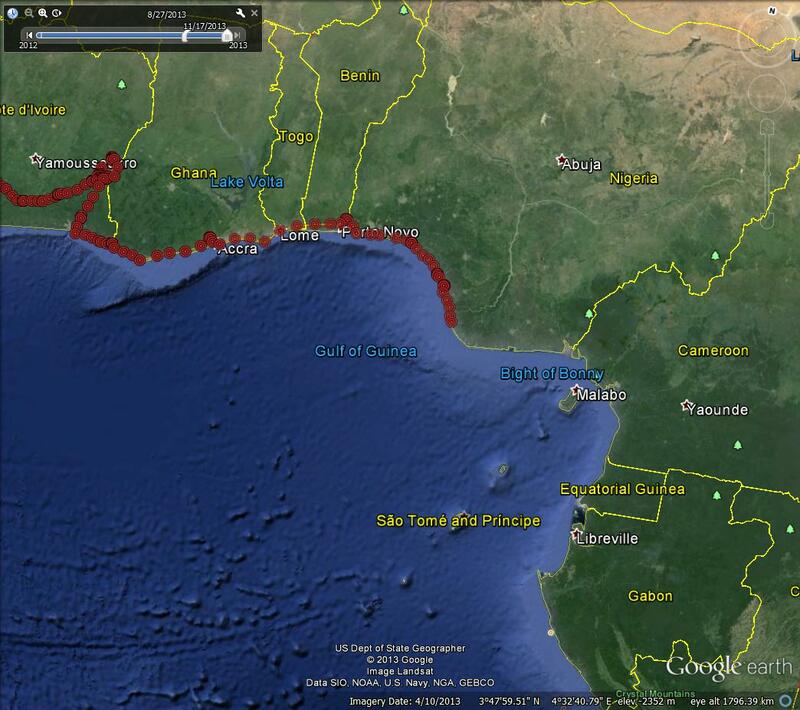 On the 11th he met the sea and turned left towards Ghana roosting that night almost on the Cote d’Ivoire – Ghana border itself. 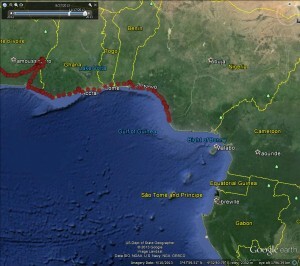 On the 12th November he continued along the coast to Accra and last night roosted just to the north. This morning he was once again on the coastline. 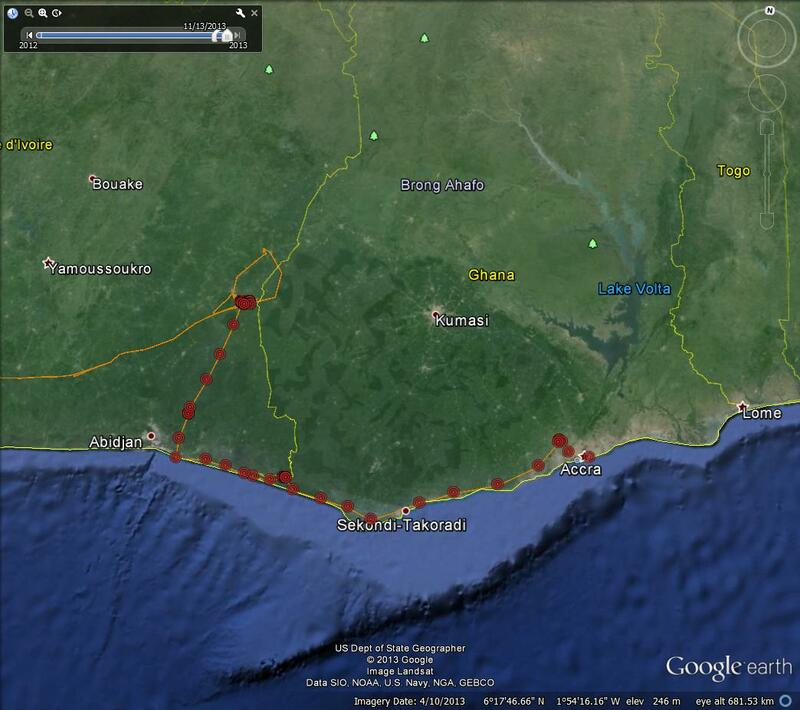 He is now in a location where ospreys like to be – near the sea but with good roosting sites nearby. Hopefully memories of the Sahara desert disappearing fast. If you wish to see the kind of country that Number 14 has crossed and where Number 15 failed Google ‘Timbuktu International Airport’ – it is 150 miles to the south of where Number 15 was lost and is the nearest place to her last signal. The surprise is not that we lost Number 15, but that Number 14 survived the journey at all. No Fireworks For Number 14.